It happened again! 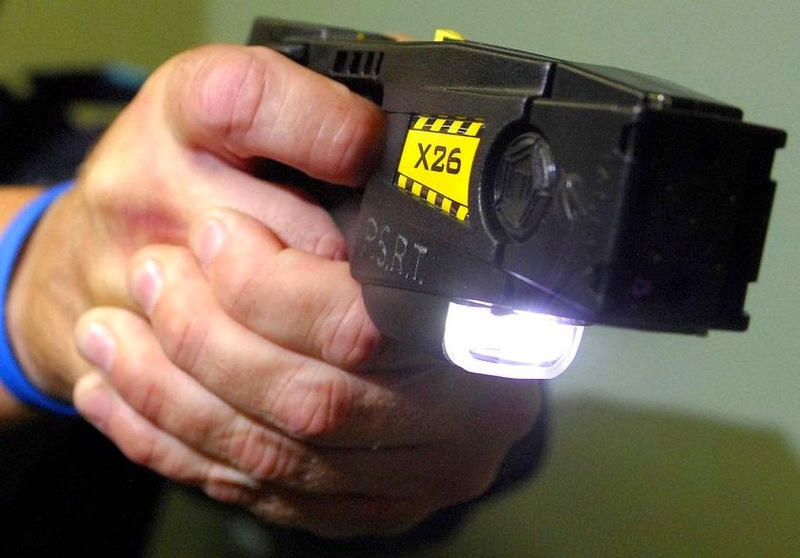 This time we are disappointed to report that the police have electrocuted another UNARMED man with 50,000 volts of electricity from their taser guns. Unidentified officers from the Meriden (CT) Police Department arrived on the scene of a disturbance early Saturday morning. The police found 48-year old Angel Hiraldo on the porch of a home with a hammer. Hiraldo made a fatal mistake when he didn't drop the hammer. An unidentified police officer got tired of waiting ... took out his (or her) taser gun and electrocuted him to death. Often I wonder what the hurry is for police. Why can't they take the time necessary to talk a disturbed suspect down. Why the rush to electrocute him? I guess in this case it was because the Meriden Police Department had other people to kill that night. The police department used a taser gun later that night on another suspect ... before shooting him to death. It will be interesting to see how the police department works to demonize Mr. Hiraldo in an effort to make him the cause of his own death. That picture is the wrong Angel Hiraldo! Do we have correct picture now?